Good news, the duck is still alive! Which duck? 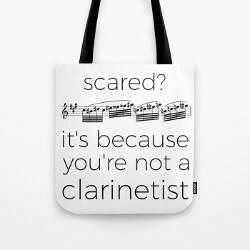 The one in Prokofiev’s “Peter and the wolf”, of course! Remember… at the end of the story, the wolf swallow the duck. 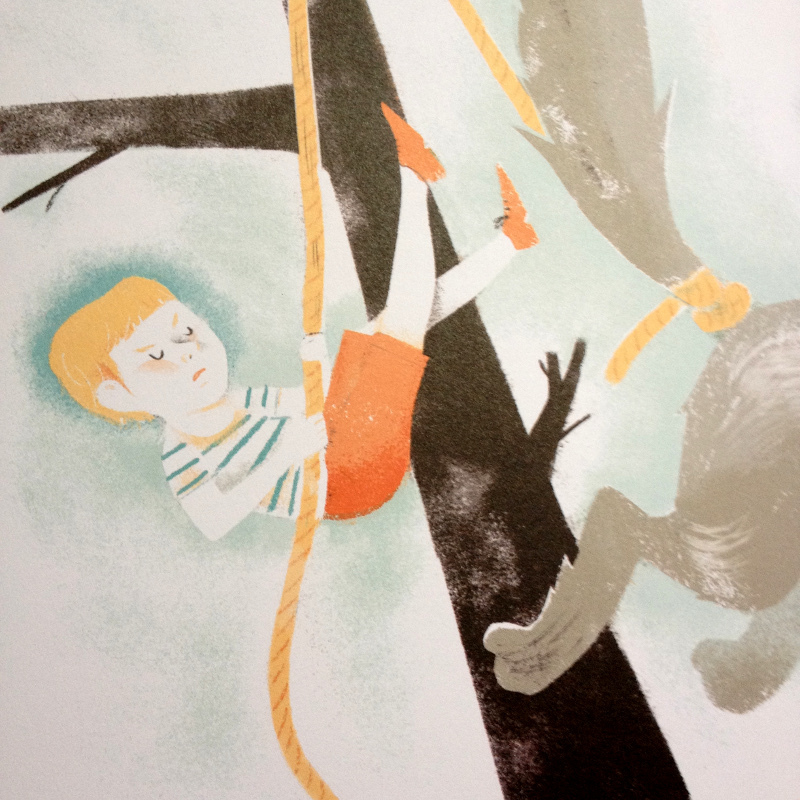 Then Peter catches the wolf with the help of the bird. If you listen very carefully, you’ll hear the duck quacking inside the wolf’s belly, because the wolf in his hurry had swallowed her alive. For almost 80 years, the mystery has remained unsolved. 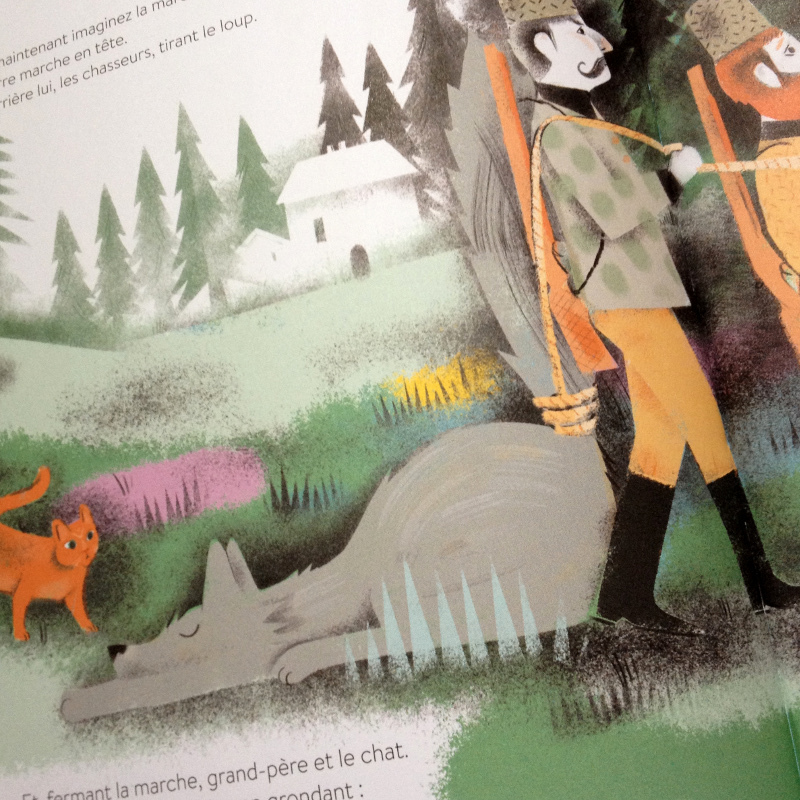 But last year, Bernard Friot (writer), Julia Wauters (illustrator) and Jean-François Verdier (composer and conductor) decided to write a sequel to Prokofiev’s story. The result is a beautiful book (with 2 CDs included) that was released last November. For now, it is only available in French, but if you have some French notions that shouldn’t be a problem especially with the pictures and the music. Prokofiev’s heir have agreed for the sequel to be written, provided that the style remained close enough to Prokofiev’s music. Mission accomplished for Jean-François Verdier! Not only is he a brilliant clarinetist at the Paris Opera, a much appreciated conductor of the Victor-Hugo-Franche-Comté orchestra, but he is a talented composer too. The orchestration is great, and it features some virtuoso clarinet solos 😉 The music perfectly fits to the story. But while Prokofiev uses leitmotive to identify the characters, Verdier tends to underline their feelings. Therefore, the music is alternatively soft, joyful, worrisome, melancholic or totally jubilant when the animals party in the zoo! The main characteristic of this sequel is precisely the variety of the character’s feelings. And at the end, the story is really finished, even if you could alway ask: but what happens to the duck next? Who knows, maybe one day, someone will write a sequel to the sequel! 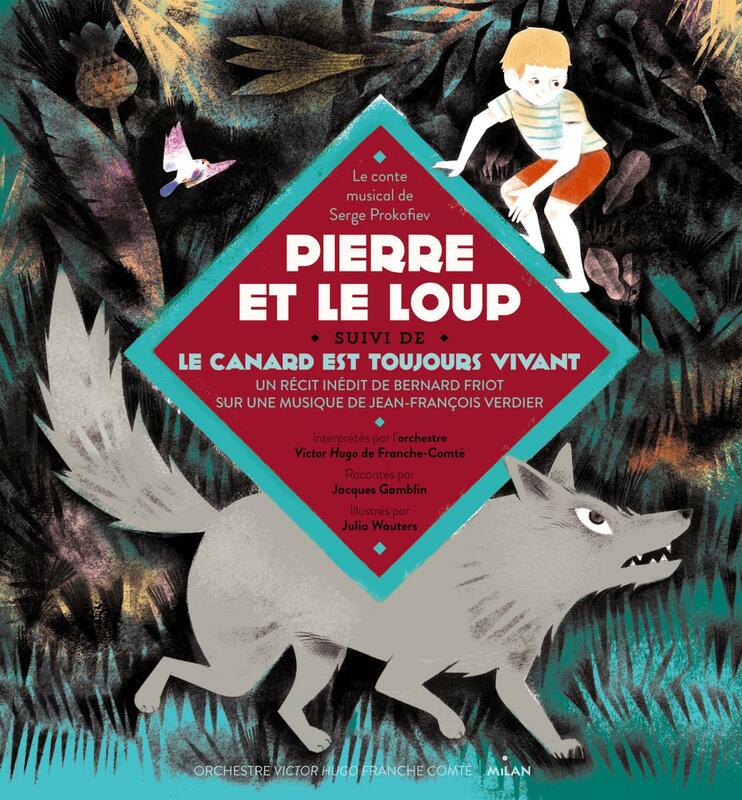 You will find “Pierre et le loup” suivi de “Le canard est toujours vivant” on the editor’s website, on amazon France or amazon UK. Next Article How many pieces can you recognize from the score? Someone should really translate this into English!